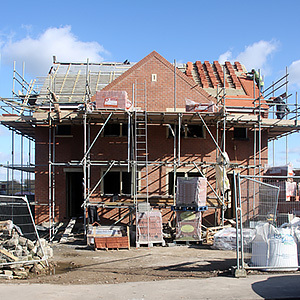 Homes and Communities Agency (HCA) allocations of some £1.3Bn for affordable homes are a major funding boost for the house building industry that will support 165,000 jobs in construction. The HCA announced the allocations yesterday, saying that 160 housing providers across England will benefit from £886M of funding, while Mayor of London Boris Johnson also announced £404M of allocations for 54 housing providers in the capital. The HCA investment will go towards the delivery of 43,821 new affordable homes across 2,697 schemes, making a significant contribution to the Government’s target of 165,000 new affordable homes by March 2018. This latest funding comprises just over half of the total £1.7Bn available under the HCA’s 2015-18 Affordable Homes Programme. Boris Johnson’s latest £404M of allocations will see almost half of London’s boroughs run their own development programme with funding from City Hall, with 11 housing associations running large scale construction programmes of over 500 homes each. Of the 54 providers receiving funding, Notting Hill Housing Trust have won the largest allocation with £59.3m to deliver 2,250 homes.